Now that it's officially here, today's drugstore buy of the week is in honor of this lovely season. 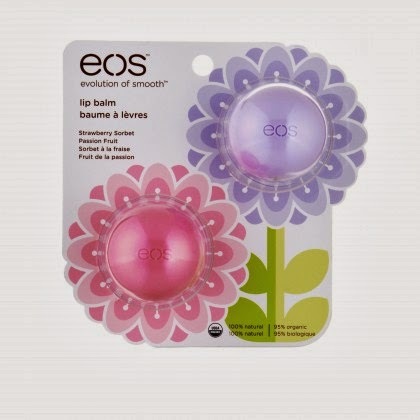 Do you love these cute little eos lip balms as much as I do? They provide the perfect amount of moisture, come in pretty colored sphere shapes and are USDA certified organic to boot! They've created several adorable limited editions over the years, combining many of their unique and yummy flavors. For Spring 2014, it's the Strawberry Sorbet and Limited Edition Passion Fruit eos 2014 Limited Edition Spring Lip Balm 2-pack, 1 ea . The packaging is beyond cute! *This product was provided courtesy of EOS PR for reviewing purposes.